Foreign insurers are currently not allowed to offer services outside the Thilawa Special Economic Zone, which is a Myanmar-Japanese joint venture on the outskirts of Yangon, the commercial centre of the Southeast Asian country. Only three Japanese insurers are authorised to operate inside the zone. As reported in the Nikkei Asian Review, the Myanmar government recently informed all foreign insurers with local representative offices that they now would be able to apply for SEZ licenses. Myanmar's undeveloped market attracts a lot of interest from foreign companies looking for growth opportunities in the region. Thant Zin, director in the finance ministry's Financial Regulation Department, stated that the admission of additional foreign insurers into the zone was a crucial step to further liberalise the local insurance market. 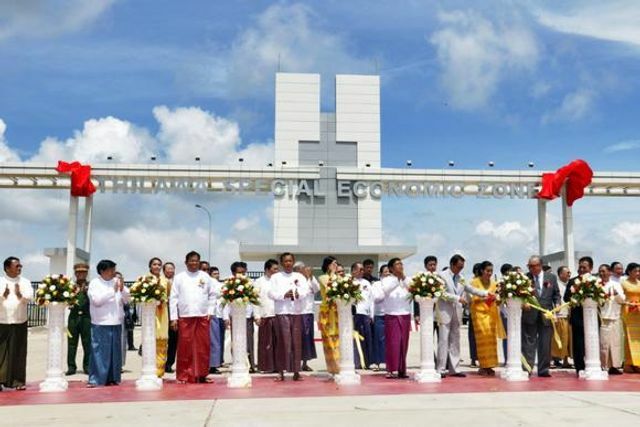 YANGON -- Myanmar is opening up its Thilawa special economic zone near Yangon to international insurance companies -- part of a market liberalization effort expected to gain momentum this year.